ETC Building & Design, Inc. (ETC) is a privately held corporation specializing in the design and construction of health care and life science facilities. We have completed over 4 million square feet of hospital tenant improvements and seismic retrofitting over the past sixteen years and recently formed a Biotech Division with a seasoned team of professionals specializing in projects for the life science sector. The variety and complexity of experience ETC has gained, coupled with the abilities of our experienced staff, has earned us the reputation as one of the leading health care/life science construction firms. ETC has built its reputation on performance and service. Our knowledge of health care and life science facilities is extensive and it is that knowledge that assures our customers not only a quality product, but at the end of a job a facility that functions as designed. We composite a team of experienced tradesmen/women and lead them to complete projects on schedule and within budget constraints. It is our goal to cultivate a productive and long-lasting relationship with all of our clients. 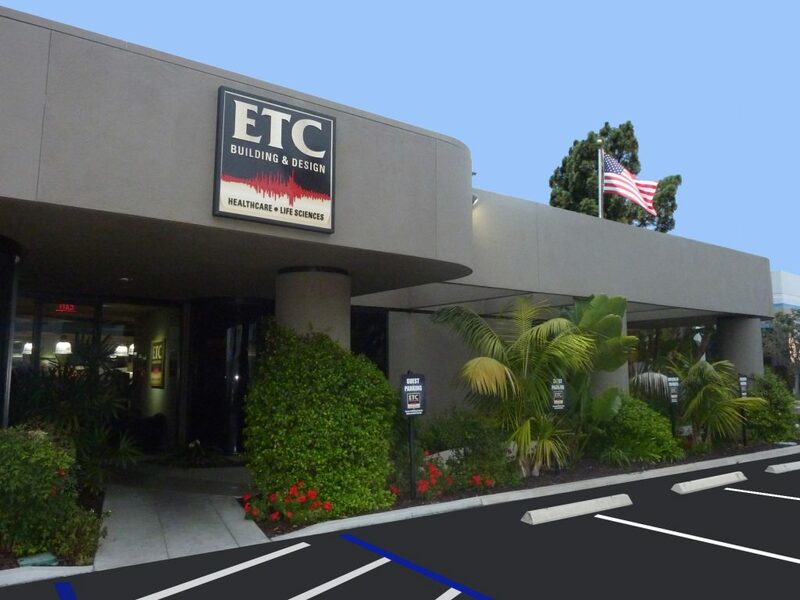 ETC’s success over the years has been guided by our intense commitment to exceeding our client’s needs and assuring their satisfaction with our services. ETC was founded by Michael Essrig and Chris Taylor in 2002. With an emphasis on specialization, ETC’s excellent design and building ability was known only to a small group of very happy ETC customers. Indeed, several years ago, one hospital CEO called ETC one of the industry’s “best kept secrets.” As the deadline for the mandated seismic upgrade of California hospitals nears, and companies and communities race to get prepared before a major earthquake strikes the state, the little construction company from California is making big waves not only across the state, but around the world as well. The secret is definitely out. The construction industry is often compared to the medical profession, where specialization has caused a fracturing and separating of talent. And as it is often difficult to find one physician who can address multiple health problems, it is almost impossible to find one construction company that can tackle the myriad of complex issues associated with completing a seismic upgrade in an open, active hospital. ETC is one such company. 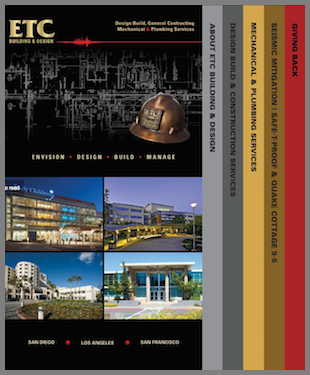 Built on a foundation of excellence, teamwork and commitment, ETC is aiding dozens of hospitals throughout California in determining their seismic retrofit needs, in the process of assessing scope and budget, conducting pre-project materials testing, and designing project plans to get state approval. Once the seismic upgrade begins, ETC’s diverse team of project managers lead the way in creating fans out of clients, by working closely with hospital staff, being sensitive to the critical care nature of the work environment, exceeding expectations in infection control, special department needs, and above all, customer service. The management team at one Northern California hospital has “adopted” the local ETC team, with a request that the crew stay on board indefinitely beyond the seismic upgrade efforts, to work on tenant improvement and assorted construction projects at the facility: rare praise indeed for a construction company. In an industry where customer service is quite often a suggestion rather than a policy, at ETC it is a cornerstone of company operations, and the accolades continue to roll in. This extraordinary level of performance is combined with the uncanny ability to integrate the project team not only into the hospital family, but the surrounding community as well.